Have you ever downloaded a file and waited patiently for it to come in? Then you realize that the file’s extension is not an AVI or mpg and it is in fact a MKV file. 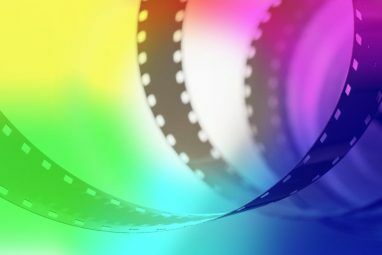 MKV files are known for their high quality and their inability to play in most DVD players and media players without plugins. So you have the last episode of the Sopranos to watch and no way to get it to play on your DVD player? 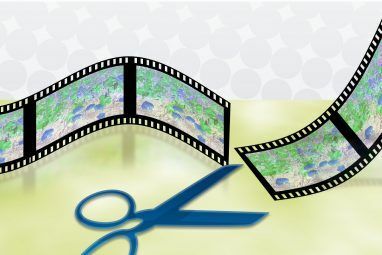 I will help you learn how to burn mkv files to DVD with a free application! The application is called E.M. Free MKV Video2Dvd V3.10 (Freeware). It can be downloaded from here. Once you download and install it you will be ready to convert and burn your MKV files to a DVD directly or to an ISO file to burn later on. Either which way you will be on your way to watching your video file in no time. You will then choose between Easy Mode and Advanced Mode. The easy mode is well um”¦.easy! So that is the way we went. If you need to modify the menus, chapters, subtitles or other good stuff choose the advanced mode option. Locate your MKV file in Windows Explorer and drag and drop the file in the white portion of the window above. Repeat the process for any other files you want in the same compilation. Could it be any easier? Yeah well they could do it for you right! But this is pretty damn easy. Once you get your files in there can you guess what we do next? If you said hit the Burn Now button – shame on you Make Use of reader! We should look at the settings before burning! If you don’t want to hit Burn Now choose your output files as ISO or burn to DVD and you are done. You will see choices for NTSC and PAL on the TV system pull down menu on the left hand side. And then on the right you will see the display aspect ratio. You can drop that down to choose widescreen or normal old TV options on the aspect ratio. 4:3 is normal for those of you who don’t know. You can also hit the change profile button to see the pre-configured profiles for quality. I left mine on the Automatic adjustment setting. You can choose the best setting for yourself and obviously the worse the quality the more you can fit on the disk. Now you are ready to burn. Hit OK on the settings screen and Burn Now on the main interface. From there you will see your two options. One for a DVD disk burn and another for a straight ISO image. You can burn the ISO later. Once you select your burn now preference you will see the progress of the burn. My video was just a sample 5 minute clip and it finished almost instantly. I saw this and knew I was done. I now had a ISO I could burn. If I had a DVD burner in this machine I would have burned directly. How do you deal with MKV files? Share your thoughts with us in the comments! This is apparently no longer free, it is now trialware. These instructions no longer sync up with the program options either. it can helps you convert and burn your videos to DVD files ( DVD Disc, ISO, DVD folder) and DVD disk (DVD 5, DVD 9) easily and with high quality. With this DVD Movie/Video Creator or DVD Burner, you can convert and burn video formats like WMV, AVI, MP4, ASF, 3GP, MOV, DivX, DAT, MPEG, etc to DVD. DVD Flick is very slow compared with VSO's ConvertXToDVD. Nice guide, it works pretty well for me. Nice guide, I got a problem when I use E.M to convert MKV video, I used to do that with this video converter, never have the porblem like that. Any video converter is the best source of converting any videos.. try to download and install SMALL AND EASY.. Very useful article. Any info on converting the .MKV container files into a single .AVI? I second that. .mkv to .avi. I would love that. You might want to check out DVD Flick. It can handle MKV to DVD and plenty more. 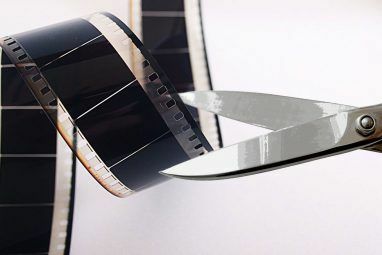 AVI to DVD, FLV to DVD, HDMOV to DVD, MKV to DVD, MJPG to DVD, MPG to DVD, M2V to DVD, MP4 to DVD, M4V to DVD, NSV to DVD, NUT to DVD, QT to DVD, MOV to DVD, RM to DVD, SMK to DVD, OGM to DVD, WMV to DVD, ASF to DVD, 3GP to DVD, 3G2 to DVD. DVD Flick supports DVD Authoring, ISO image creating, DVD burning also in one tool. It is free software. Here's a link to the Guide and download if anyone is interested. I agree, DVD Flick is the absolute best! DVD Flick has crashed every computer I've tried to run it on.